Growers harvested more than 2.5 million pounds (1.1 million kilograms) of cannabis in October. For the second year in a row, Oregon cannabis farmers have harvested more than a million pounds of usable marijuana. The huge harvest (more than 453,592 kilograms) is again driving down prices for consumers and putting pressure on growers who aren't getting the price they hoped for after a similar phenomenon in 2017, The Bulletin reported Thursday. Oregon's cannabis market is limited to sales within the state's borders, yet the state of about 4 million people has 1,107 licensed active producers and another 900 producers seeking licenses from the Oregon Liquor Control Commission. "Everyone is concerned about this," said Adam Smith, Craft Cannabis Alliance executive director. "You'll see people going out of business in the spring when it's planting time. There are far too many in the industry in distress. No one is making money here." Growers harvested more than 2.5 million pounds (1.1 million kilograms) of cannabis in October. Of that so-called wet harvest, 1.3 million pounds (589,670 kilograms) of usable marijuana was logged into the Oregon Liquor Control Commission's cannabis tracking system as of December, according to the agency's latest report . Last year, cannabis farmers statewide cut back the amount they planted, while others didn't plant at all, and some surrendered their licenses, said Don Morse, a Portland cannabis consultant. As of Wednesday, 70 grower licenses were expired, and 57 licenses were surrendered, according to commission data. 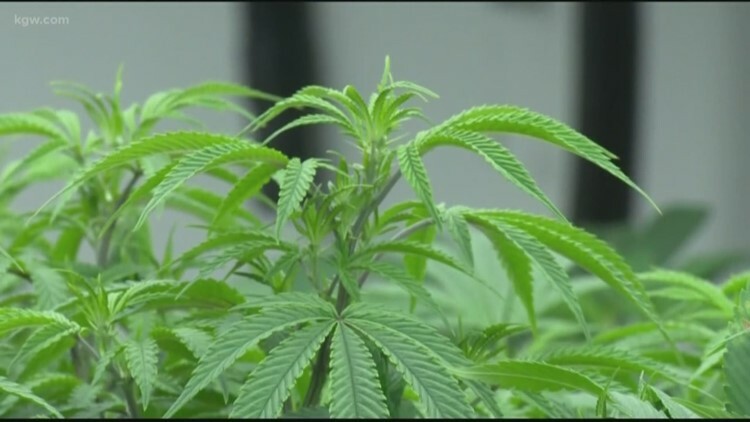 There is one silver lining: People are buying so much pot that Oregon's marijuana tax collections have exceeded the forecast by 7 percent in the 2017-2019 biennium, according to the Oregon Office of Economic Analysis. "Because of the federal illegality, there is not a balance between suppliers and demand," said Beau Whitney, senior economist and vice president of New Frontier Data, a cannabis market research firm. "If it was an open market and it was legal throughout the United States, there would be demand and prices would stabilize." "There is no short-term fix for this," Whitney said. "You have a lot of supply in the system, and it will take a while for it to flow through the system." "This Congress can be of incredible use to us," she said. Shipping marijuana by air would be prohibited and pot couldn't be transported through a state that didn't agree. Brown said she wants to work with Prozanski and others on statutes that could alleviate Oregon's pot problem. The numbers in the commission report also reflect the growing popularity of concentrates and tinctures over the dried marijuana flower — the "bud" that's traditionally been smoked for a high.